Thanks Julie!! You are helping us love our dogs even more. An unexpected perk of training. Thank you! Julie, Thank you so much for your incredible spirit and patience. There is nobody better than Julie! I have seen difficult rescue dogs transform under Julie’s guidance, innate kindness, and sensitive training. It is a gift. You can trust Julie! If our dogs could speak English, they’d say Julie is great. So we’ll say it for them. 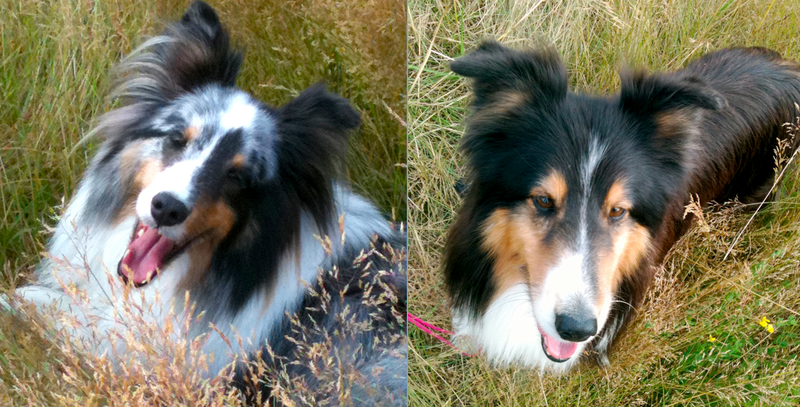 Julie has been extremely helpful in teaching us how to keep our notoriously “barky” shelties from overdoing it. She was patient and understanding with them, and the results “speak” for themselves… as a result we have a quieter household. Julie Sharp is an excellent, extremely knowledgeable dog trainer who also has a lot of experience with dogs who are struggling with fear issues. I can highly recommend her to anyone looking for a compassionate, positive trainer who will bring out the best in your canine companion. 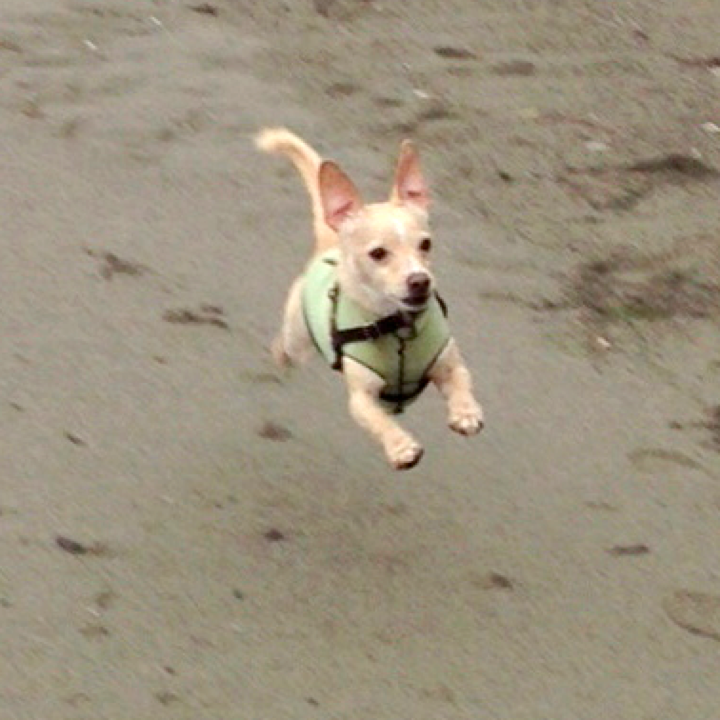 Julie has been training my two dogs for a year with exceptional results. I highly recommend her. 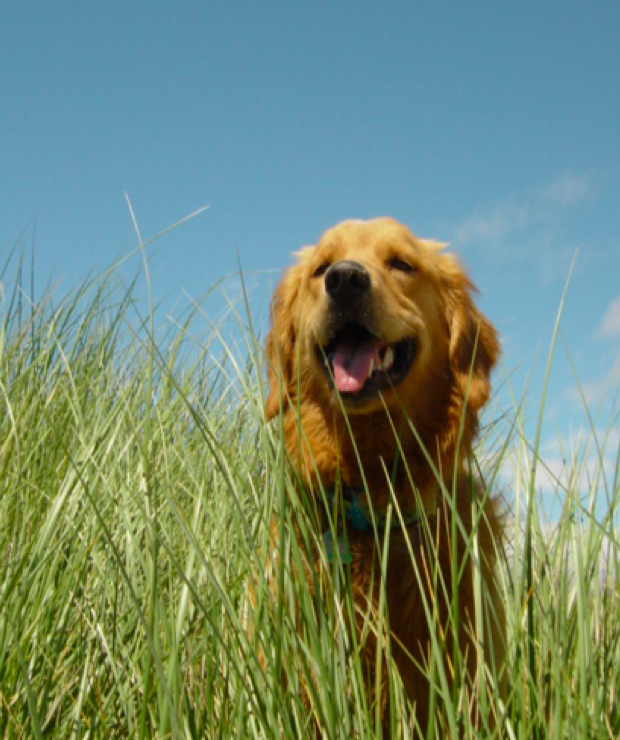 If you want a dog that behaves well, her training is an investment for your family and the quality of the dog’s life. 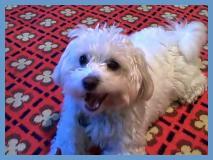 Initially, I needed help with getting Benji to come when called. Julie worked diligently in teaching me some simple techniques to build a stronger bond and create an enjoyable relationship with my dog. The activities & exercises she provides are simple, sensible and progressive. Julie taught activities that Benji enjoyed and he always responded positively. My confidence in continuing the training on my own is very high. Her techniques work because they are simple and create a natural progression towards your goals. Julie is committed to your success. She has always done her homework before each lesson. She is ready with fun activities encourages you to make everything fun for you and your dog. I highly recommend Julie Sharp if you have some challenges with your pet that you cannot figure out on your own or, if you are really smart, you want to start while your puppy is young. Working with her, you will learn to build a very positive relationship with your dog that is very fulfilling. I contacted Julie when we got an Airedale puppy who will become a very big dog. We knew that good training would be the key to a wonderful dog-human relationship. Julie gave us many tips and games to get started with Hogan who was only 10 weeks old at the time. Hogan is 6 months now (65 lbs and still growing!). 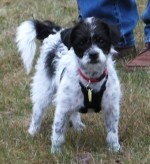 He still has more training to do, but with Julie’s help he has learned a tremendous amount. Julie also helped us with our 6-year-old who would bark hysterically when a school bus or the UPS truck drove by. It took Julie about 30 minutes working with Sofie to calm her and make her understand what we wanted. It has only a few weeks, and she is much better about barking and with Julie’s methods we are still working on this lesson. I highly recommend Julie for training your dog. Her methods work because they train both the dog and his owner. She is kind and loving to animals and I know any dog owner will appreciate her methods. I am so impressed with the gentleness of your training. You provided a great fresh start for all of us. Thank you Julie!! 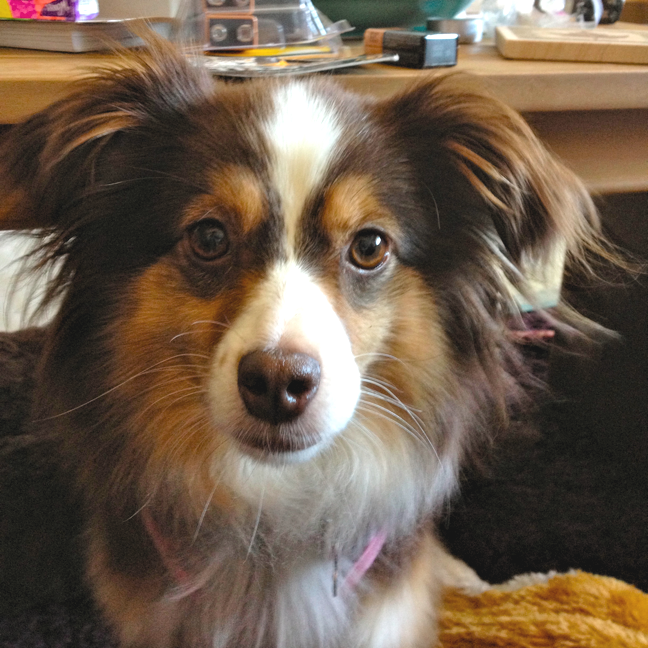 Julie Sharp is an amazingly caring and competent dog trainer. She is all about positive training, and my dogs responded to her love and attention. The first two weeks my 4 month old Boston Terrier/Aussie puppies Ernie and Ellie wouldn’t even look people in the eye because they had been raised on a farm without a lot of human contact. From the moment we started training with Julie, Ernie and Ellie quickly learned to look at me plus many other behaviors including sit, down, come, stay, and roll over. Julie not only trained Ernie and Ellie to be more calm and observant around humans and other animals, but she also taught me by example how to train my dogs on my own after we had finished our series of lessons with her and how to be a better dog owner. 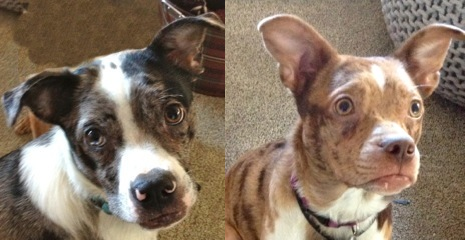 Ernie and Ellie now know that loud noises aren’t so scary, and I know how to recognize and reward their good behavior. Thanks for everything Julie! To the BEST dog trainer in the world. We are so thankful that we found you! We unexpectedly adopted a dog from a friend. While he was a very nice dog, my husband and I are not really “dog people” and so we were struggling with how to incorporate him into our household. We worked with Julie for 5 or 6 sessions, mostly working on walk behavior and some tools to help our anxious yet stubborn little dog settle into our home life. 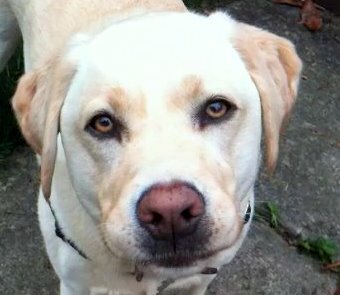 Julie’s calm and caring approach worked very well in teaching him to relax and enjoy a walk or family time without pestering or being anxious. She also helped me to feel more confident in managing his behavior and more patient with his herding me around the house. He’s a Corgi— it’s his job! We would highly recommend Julie and Sharp Dogs for your own family! 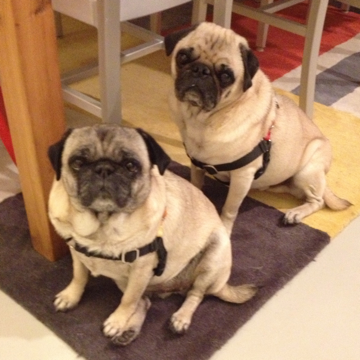 I adopted two senior pugs through Seattle Pug Rescue. Flynn, the male, turned out to be a barker and a marker, with some serious OCD issues. He barks at his reflection and stares endlessly at door frames. My female, Buttercup, was sweet-natured, yet would lunge after small, insecure dogs, if given the opportunity. Both had been in numerous foster homes and my husband and I questioned whether we too, should return at least one. Then we found Julie and Sharp Dogs. 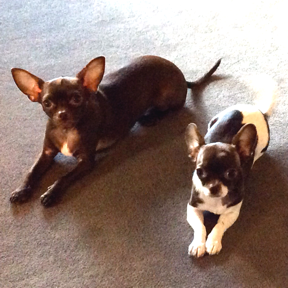 During training, both learned commands that we could use to redirect unwanted behavior. And, we learned how to respond in a more appropriate way. Old dogs CAN learn new tricks. These pugs are part of our forever family now! By the time I contacted Julie my frustration level was at an all time high. I was exhausted from having to “manage” my dog all the time. Julie showed me ways to interact with my dog as opposed to react to my dog. I discovered my reactions only escalated my dog’s anxiety. I developed valuable skills and techniques to help decrease my dog’s reactivity to “triggers.” My relationship with my dog has evolved into a more cohesive and happy existence. Julie is truly dedicated to the welfare of her canine clients. Thanks Julie! Just like last time, I left our session just walking on air! I am so happy about your work with Izi! Thank you!! I was a typical first time dog owner—I absolutely loved my new puppy, Willow, but I was pretty clueless about dog behavior and training. I wasn’t even really sure how to raise a puppy! Julie put us both on the right track using positive, kind methods that we both responded to immediately. It’s now been 4 years and I’m so thankful that we got the early training that we did. Willow and I have a great relationship and I really feel like I am a great parent to her. Julie definitely gets all the credit! We did our research on dog training, and decided we wanted a positive trainer. Julie is totally positive and fantastic. She interacts expertly with Annie (our Border Terrier/Jack Russell Terrier mix), she demonstrates techniques for us, answers all our tireless questions, works with us and Annie hand in hand. It is amazing what Annie can do after just a few trainings. We appreciate all Julie’s hard work and her dedication for dogs.